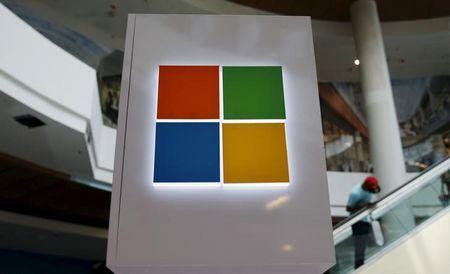 (Reuters) - Microsoft Corp executives are in talks with equity firms considering bids for Yahoo Inc! saying that Microsoft might be willing to offer "significant financing" for their efforts, tech news site Recode reported on Thursday. However, Microsoft has not made commitments so far to investors, and any discussions are exploratory, Recode reported, citing unnamed sources. Microsoft's move is an attempt to ensure a good relationship with Yahoo's buyer, the website reported. Yahoo launched an auction of its core business in February after it shelved plans to spin off its stake in Chinese e-commerce giant Alibaba Group Holding Ltd . In an interview with Reuters in February, Yahoo Chief Executive Officer Marissa Mayer said the company will entertain offers as they come but its first priority is a turnaround plan. Activist hedge fund Starboard Value LP on Thursday said it would nominate nine candidates for the board in an attempt to overthrow the entire board of Yahoo including its chief executive. Starboard has been pushing for changes at Yahoo since 2014 and owns about 1.7 percent of the company. Microsoft's partnerships and acquisition strategy head Peggy Johnson is also part of the effort to finance a possible Yahoo buyer, Recode said. Microsoft, which made a hostile bid to buy Yahoo in 2008, had no interest in making a more significant bid, but others do, Recode said. Yahoo and Microsoft declined to comment.